Scarecrows will return to dot the delightful village. Scarecrows will return to dot the delightful village, all October long. 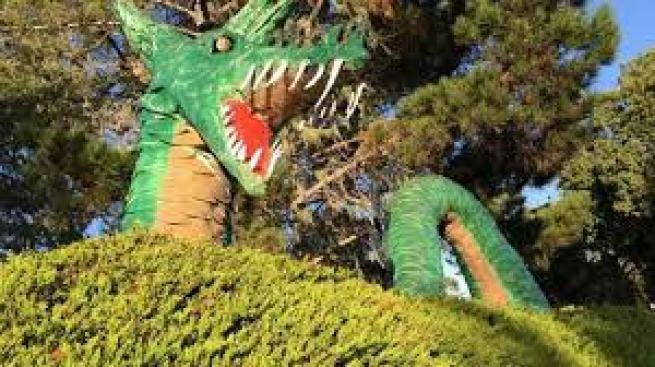 CAMBRIA SCARECROW FESTIVAL: The event, "Where Whimsy Runs Rampant," will take place from Oct. 1 through 31, "... with hundreds of scarecrows bowling, bathing, painting, pedaling, fishing, and flying over Cambria, San Simeon, and Harmony." This beloved festival is a decade along now, and count on plenty of fall fans showing up to snap photographs aplenty in front of shops, restaurants, and beyond. Who creates this adorable wonders? So many people around the area, from business owners to students. And if you're an Oktoberfest aficionado, be sure to be around town on Oct. 20, 2018, when brews and brats shall reign at the Cambria Vets Hall.